How to Prevent Botnet Attacks? A botnet refers to a group of computers connected in a unified manner for malicious purposes. Each computer in a botnet is referred to as a bot. These bots develop a network of compromised computers, which is controlled by a third party and used to transmit spam or malware, or to launch attacks. All these connected computers carry out a number of repetitive tasks to keep websites going. Very often it is used in connection with Internet Relay Chat. These types of botnets are completely legal and even help in maintaining a smooth user experience on the Internet. However, you will have to be careful the illegal and malicious botnets. 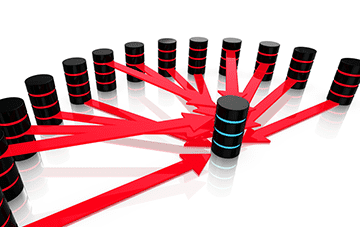 In such cases, botnets gain access to your machine via some piece of malicious coding. In certain cases, your machine gets directly hacked, while other times a “spider” does the hacking automatically. Spider here is a program that crawls the Internet looking for holes in security to exploit. Botnets mostly aim at adding your computer to their web and this mostly happens via a drive-by download or by fooling individuals into installing a Trojan horse on their computers. After the software gets downloaded, the botnet will go ahead and contact its master computer and let it know that everything is ready to go. Now your computer is under the complete control of the person who created the botnet. Typically, the botnet malware looks for vulnerable devices across the Internet, instead of targeting particular individuals, industries or companies. The focus here is to create a botnet in order to infect as many connected devices as possible and to use the computing power and resources of those devices for automated tasks that usually remain hidden to the users of the devices. For instance, an ad fraud botnet that infects a user's PC will take over the system's web browsers in order to divert fraudulent traffic to specific online advertisements. However, to remain concealed, the botnet will not take complete control of the web browsers, which would indeed alert the user. Instead, the botnet could use a tiny portion of the browser's processes, mostly running in the background, in order to send a barely noticeable amount of traffic from the infected device to the targeted ads. On its own, that fraction of bandwidth taken from an individual device will not offer much to the cybercriminals running the ad fraud campaign. However, a botnet that incorporates millions of devices will be able to yield a huge amount of fake traffic for ad fraud, while also preventing detection by the individuals using the devices. Creating fake Internet traffic on a third-party website for financial gain. Replacing banner ads in your web browser particularly targeted at you. Pop-ups ads designed to get you to pay for the removal of the botnet via a phony anti-spyware package. Using your machine’s power to help in distributed denial-of-service (DDoS) attacks to shut down websites. Regularly update your computer’s operating system as early as possible. Hackers frequently utilize known flaws in operating system security to install botnets. You can also set your computer to automatically install updates. Regularly update the applications on your computer because once weaknesses are identified and announced by software companies, hackers rush to develop programs to exploit those weaknesses. Don’t click on links or download attachments from email addresses you are familiar with. This is one of the most common vectors for all types of malware. Do not visit websites that are known distributors of malware. Always ensure to use a firewall when browsing the Internet. Comodo cWatch is a web security tool that is available with a reliable Web Application Firewall (WAF). Virtual, physical, and in the cloud, the Comodo WAF is capable of eliminating application vulnerabilities and protecting web applications and websites against advanced attacks including but not limited to SQL Injection, Denial-of-Service (DDoS), and Cross-Site Scripting. This WAF combined with vulnerability scanning, malware scanning, and automatic virtual patching and hardening engines also has the potential to provide robust security that is wholly managed for customers as part of the Comodo cWatch Web solution. Furthermore, this cWatch WAF is an ideal solution to botnet attacks as it blocks malicious bots and brute force attacks. Protection of account registration forms and login pages from different attack vectors including protection from application denial of service, web scraping, and reconnaissance attacks is also provided. The OWASP Top Ten is a published list of the top 10 forms of website attacks determined by polling experts in web communication to attain a broad consensus on what threats should be of greatest concern.